St Philip’s Church was first established in 1878 as a chapel of ease. As far back as 1894, fundraising began to enlarge the church. The building project at St Philip’s had begun. In 2019, the project which started over 100 years ago is nearly complete. 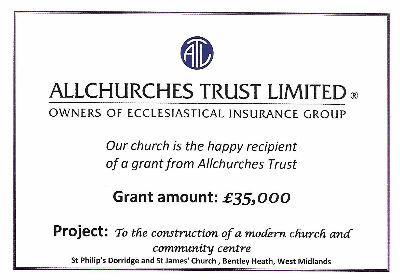 In January 2019 we received the faculty we need from the Church of England to begin the demolition and rebuilding of St Philip’s Church on Manor Road. Over the last few weeks Richard Arbuthnot and the Building for the Future Team have been working hard on the finalisation of our plans, the costings, and structuring the required finance. We have reached what is called the Pre-Construction Stage in the programme. This means that we have to prepare to leave St Philip’s Church and the Church Hall with construction potentially beginning in June this year. As we leave, we thank God for the good things He has done for us in St Philip’s. Starting with the 6.30pm Service on Palm Sunday we will look back and remember, give thanks and let go. We continue with services through Holy Week, culminating in a Service of Celebration and Thanksgiving at 6.30pm on Easter Sunday, 21st April. As the process of organising the contents of St Philip’s Church and Church Hall continues, a number of items including certain of the church pews will be available for purchase through a sealed bid auction. Details of the items available will be available after Easter and to enable the clearance to run as smoothly as possible, written bids must be received at The Parish Office by 6pm on Sunday 12th May. On Saturday 11th May, the items in St Philip’s we need to store off site during the construction phase will be collected. We have secured a storage site, but need help loading and unloading items onto two lorries. If anyone can offer assistance, please contact The Parish Office. 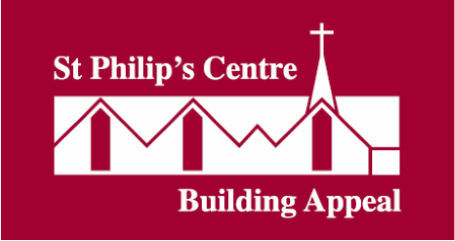 After auction items have been claimed and the stored items are safely stored off site, St Philip’s will be open on Saturday 18th May for the sale of items which will not be used in the new building. Timings and further details of items available will be communicated nearer the time. Donations towards the project are vital so please give generously. To donate on line click on the logo below. • Are all of the pledges received loans or gifts? • How will the project be funded? A balance of commercial loans will be raised which will be paid down by time phased pledges and additional funds raised from the congregation, community, businesses and other sources. • Who will be liable if funding is short? Legally the PCC is liable but no work will start that cannot be clearly funded. • How will other funds be raised? Via the appointment of person to lead and coordinate our fund raising efforts. • What about 6 Manor Road? It is proposed that part of its site will be used in the development and the balance including the property sold off. • Where will the money raised go? It will be used to settle off any outstanding loans and the balance put into the building fund. • How much could this be? Difficult to answer but could be in the order of £4-500,000. • What will the future running costs of the new building be? This is unknown as it depends on ultimate usage, however calculations based on the proposed materials and insulations etc. suggest that the energy efficiency will be at the top end of the scale, a B/B+. • Why are there few other energy saving features? Largely because of available funds at this stage however additional features may be added. 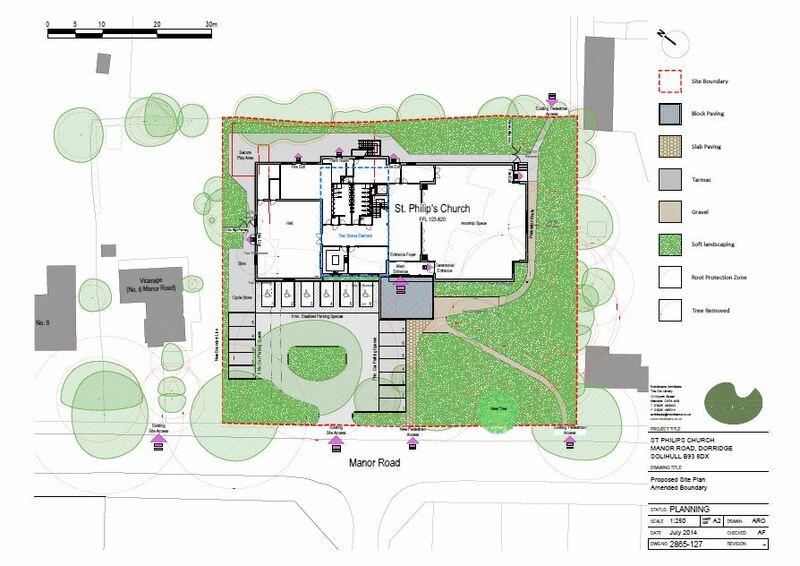 Ground tests have indicated that ground source heating is not practical on the site but solar panels and grey water recycling could be included later. • Why no under floor heating? Underfloor heating is a very good solution in buildings which are likely to have long periods of steady occupation such as homes. Due its nature it is slow to respond to changes within the building and areas take a long while to warm. Whilst we hope the church will be fully used we want to have a heating system that is quick to react and is flexible. By its very nature the church will have influxes of people over a short period of time bringing cold air into the building and underfloor heating can struggle to cope with such fluctuations.We are taking further advice on this. • Are all light sources low energy? Yes all lighting is low consumption, long life. • Why are we not receiving regular updates on what is happening? There has been little to report however the PCC has approved moving to the next stage and so regular updates will occur via email, the website and hard copy in Church. We now have someone responsible for marketing and publicity who will work in the team, alongside our fund raiser. • The design looks unimaginative and doesn’t say “Church”, why? The architect was asked to produce an affordable footprint and then clothed the footprint initially, this is now under review. We want it to say this is a welcoming Church as part of its witness in the community. • There is insufficient storage, what is being done? A storage audit is needed again; however there can never be enough storage! • What about the parts of the Church that we love? A survey of significance has been conducted by a specialist and certain items and features have been identified as worthy of preservation, also certain items have a particular value to some of the members of the Church like the East window for example, these will be retained wherever possible although possibly not in quite the original form. • How about the organ, will it be kept? The electric organ is now rather old and starting to give some concerns so it will not be kept. • The access via the Chiltern Rail car park is appalling can anything be done? We shall seek the support of the local officer responsible and establish whether the recycling bins could be moved to the other end of the car park. • Will we continue allowing members of the public to use the short cut across the Church grounds? Yes but we shall retain the Diocese ownership and control. There were many detail items that were raised such as number of toilets, location of the church hall waste bins and so forth, these questions will be dealt with as we progress.